and also to hear a talk by Dr Shirley Sherwood about the two exhibitions. 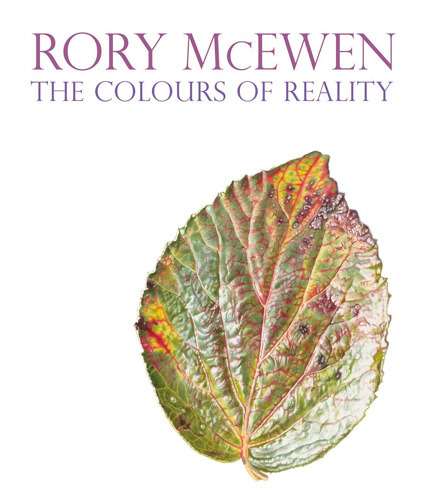 Today I'm going to post the details of a say in the painting life of Rory McEwen. After his death in 1982, his family found a log of his the days spent painting botanical art. It's in the exhibition and it's a real education to review. A little further along in his journal he records the total time taken to complete Central Park Leaf as being 47 hours 30 minutes. His work is absolutely amazing. He has also been a very influential artist in terms of his impact on contemporary botanical artists. My copy is now signed by Shirley Sherwood! Great to see you yesterday Katherine and looking so well after your operation. Thanks for this post - lovely to read and I very much look forward to seeing the next post. I am glad you got a chance to interview Dr. Sherwood. Hope you got back ok yesterday. I can certainly recommend people take advantage of the £20 for the paperback at the Kew shop - which is what I did as Amazon couldn't fulfil my order before the exhibition. They'd run out! As indicated at the bottom of my blog, the amazon links are about how I afford my bookaholic habit! Also I find the botanical art posts get accessed via the archive for years to come - and I bet that offer won't last forever! Which are the best books about Portraiture?